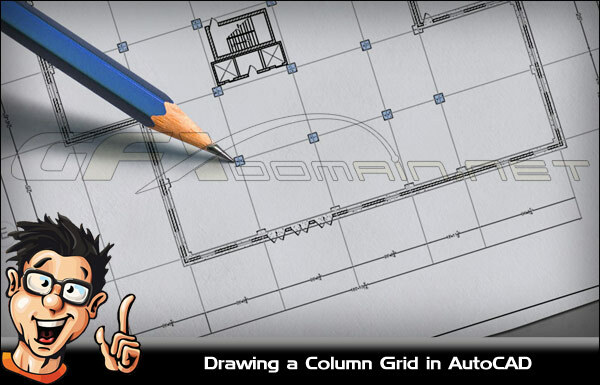 In this set of tutorials we’ll use the Tool Palette and a few basic drawing and annotation tools to layout a column grid in AutoCAD. We’ll begin with the basic shell of a building and start setting layers for all the elements in the column grid. We’ll make sure to assign names and colors to each layer so that our diagram will be well organized. Next, we’ll set a specific line type for the grid line layer and begin drawing the grid lines. Once the lines are in place we’ll then load a column from the Tools Palette and place columns in their correct position through out the plan. Finally, we’ll annotate the column grid by adding bubbles and text and any other finishing touches we may need to get the job done right.